Holidays are here, weather is cooling down, and things are STILL popping up left and right. This is absolutely my favorite time of year, and I’m excited to share what’s going on this month. Also, if you have a client or know somebody looking to buy or sell a property, we’d love to help them get it closed. Send them our way and we’ll make sure they’re taken care of. Desert Color update- the first phase of residential homes will begin being built out at the beginning of 2019. There are builders that have signed on, although I do not have any names at this point. It sounds like they will have model homes going very shortly! Will be interesting to see that start to develop over the next few months. Kenworth Trucking Company- the plat map was recorded last month and dirt is being moved for their new facility off exit 2. It’ll be just east of the Paparazzi building along the freeway, north of the overpass. Rose Development- New signs are up next to Summit on River Rd! New restaurants, hotels, and possibly even a movie theater, along with high end retail and office space should start happening soon! SWIG! A new location is going in at Dinosaur Crossing next to Rodworks. I imagine this will be a big hit for everybody out in the fields. Construction should begin soon! Bonza Dry Cleaners- the newest addition to Dinosaur Crossing in between Great Clips and Stone Canyon Eye Care is now open! Panda Express- the new location in Dinosaur Crossing is just about finished and should be open sometime this month! Bike Park- the bike park in front of Snow Canyon High is just about finished and the grand opening is November 17th at 11! This will be huge for the mountain biking community and will be lots of fun. Make sure to check it out! Red Fort Cuisine of India- I posted this last month but if you haven’t been and you love Indian food, it is absolutely incredible. It’s in the old Iggy’s building down from Olive Garden. Fort Pearce Industrial- Barney Trucking Facility and Martin Warehousing cold storage facility are now both complete. The 99-unit mini-storage facility construction is just underway, and Swiss Bank Storage is adding 120 storage units to their facility as well. Dollar Tree- construction is underway in the Kohl’s shopping complex. It is on the end of the building next to Downeast outfitters. Should be finished in the first quarter of 2019! LDS Temple- It was announced last month that Washington County will be getting a new LDS temple! I’m putting this in this section because it’s what MY guess is for where it’s going, but it is still unknown where exactly it will be. I’ve been hearing rumors but nothing confirmed yet. 24/7 Fitness- under construction on the south side of State Street in Hurricane, across the street from the new Clarion Hotel. Road projects: I get asked quite a bit about road projects happening so I’ve decided to include a section below regarding these. It’s right above the Dixie State University section. Sunset Blvd/Bluff St project- construction is nearing the end and it is looking AWESOME. Check out the link below for the Bluff Street Corridor project schedule, map, and video of what it will look like in the end. It is going to be nice once it’s all done! Northern Corridor- A road going from exit 13 in Washington to the backside of Red Hills Parkway has been proposed. The county commissioner is currently working on the new HCP permit with the U.S. Fish and Wildlife Service and there are incentives to finish the road before 2025. This is more of a long term thing to watch for, but it will definitely have a big impact on our infrastructure when it does happen. Below is a list of all the developments, businesses, and other projects that have either been finished in the past year, or are a work progress. Desert Color- A big shopping complex along with a sports complex, hotels, and 11,000 homes are on their way just off exit 2 as you come into town. 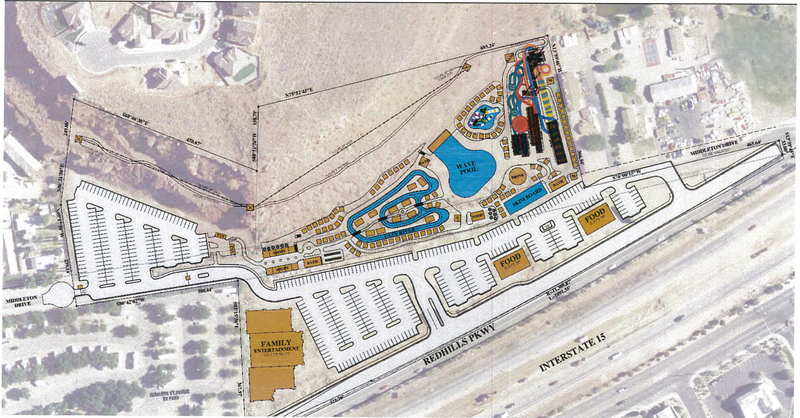 Big Shots Golf Center (a mini Top Golf) has been approved, Paparazzi Accessories is building a new facility and it is currently under construction, and dirt is being moved for residential and commercial spaces and we should be hearing more soon. They hope to have homes started at the beginning of 2019. For more details, give me a call. Kenworth Truck Sales Company– construction should begin soon! Terrible’s Herbst gas station- now open! Desert Hills Plaza- KB Express is now open and there are 5 new businesses confirmed that will begin filling in soon! Port of Subs, Tropical Smoothie, Little Caesars, Great Harvest, and Desert Hills Pet Hospital. Two new spaces are being filled by an attorney and a flooring store but no confirmation yet on who just yet. Commerce Pointe- the newest development being created in the center of town is now underway! Exit 6 will be getting a big retail development across from Black Bear Diner and McDonalds, and a Maverik is now open on the corner! Green Gate Village- This plaza has been completely revived and it is such a cool downtown spot. Scout Cloth, Chef Alfredo, Twisted Silver, The Barber, Cosy House and Gift and My Little Moon are in business and you can find the Virgin Berri food truck parked there most days as well. A new book store just opened as well call The Book Bungalow! Morty’s Café- under construction on the corner of St. George Blvd. and 700 E. where the Maverick used to be. Timeline unknown. Red Fort Cuisine of India- open in the old Iggy’s building just down the street from Olive Garden. Amazing food!! Dixie Regional Medical Center- they had their grand opening last month and construction is just about done. The new facilities aren’t quite yet, but will be in the next few months. Stay tuned for more details to come! Oral & Facial Surgery Institute- they are building a new office just off River Rd. on Riverside Dr. just west of the Post Office. construction is almost complete. Stephen Henager’s College– now open! Virgin River Dental- under construction. Guru’s Sports Bar & Grill- now open in the old Gun Barrel building next to Starbucks in the Stadium 8 movie complex. Nails Bar- new salon in Washington off Telegraph behind Sonic in the same building as Royal Thai. Now open! Tag N’ Go Car Wash- in the works of putting another location that will be right across from Costco. No start time has been determined yet, but will be happening soon. Bone Appetit- under construction. Should be open soon! Capriotti’s sandwich store- expected to submit their plans soon. rectly behind the new Clarion Inn & Suites on State St. Scheduled to be finished in spring of next year. Northern Corridor- A road going from exit 13 in Washington to the backside of Red Hills Parkway has been proposed. The county commissioner is currently working on the new HCP permit with the U.S. Fish and Wildlife Service and there are incentives to finish the road before 2025. It will definitely something to be on the look out for, as this will be a big time addition. We have had 2029 residential building permits for apartments & condos, duplexes & townhomes, and single family homes pulled so far this year. We have a large number of lots being developed right now as well, so we should be seeing more and more come available the next few months. Here is what was recorded last month! open in the old Iggy’s building just down the street from Olive Garden. Amazing food! !